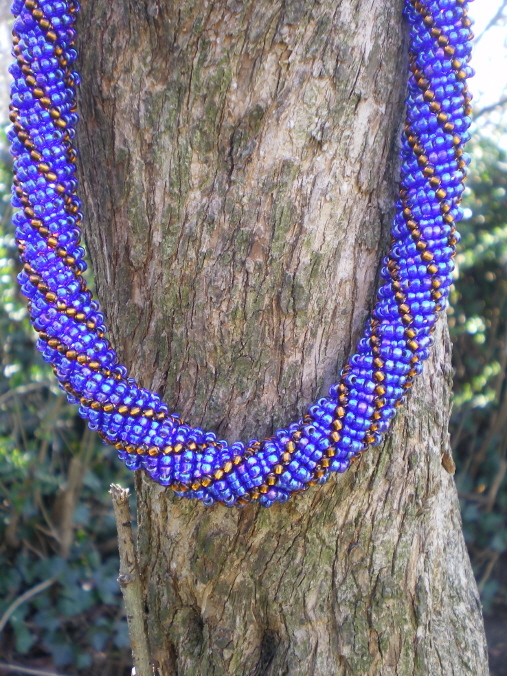 This is a very big and bold necklace. 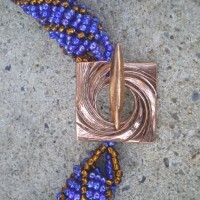 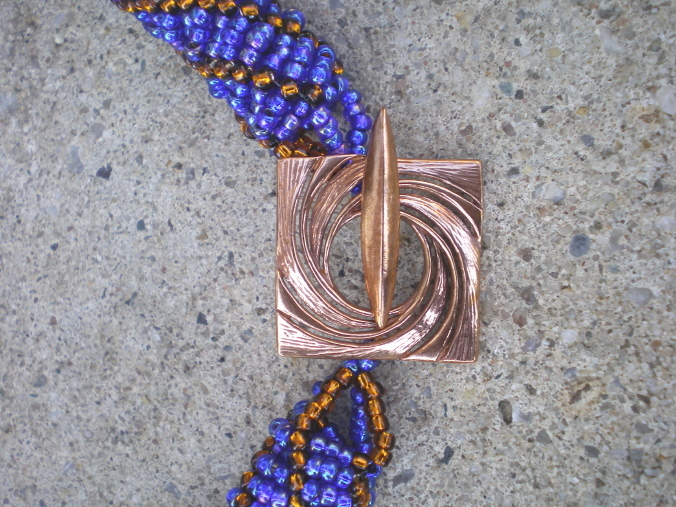 Large decorative square copper toggle clasp. 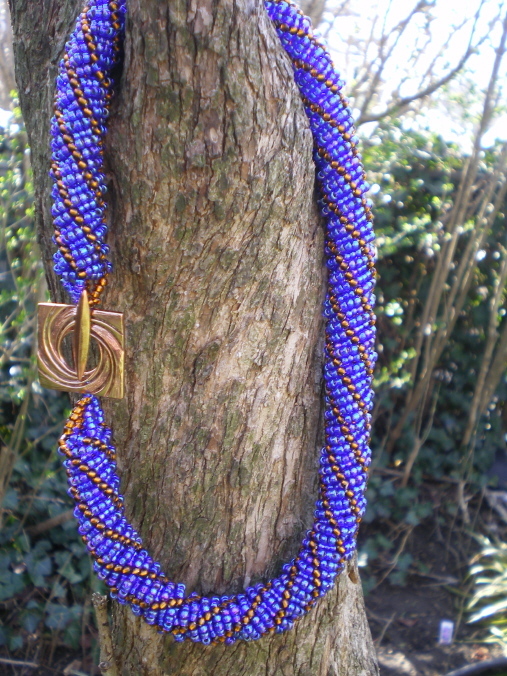 This necklace can be worn traditionally with the clasp in the back or asymmetrically with the clasp to the side. 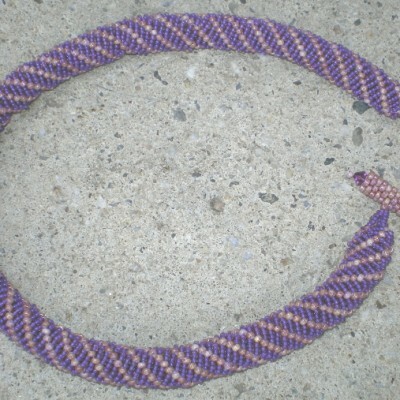 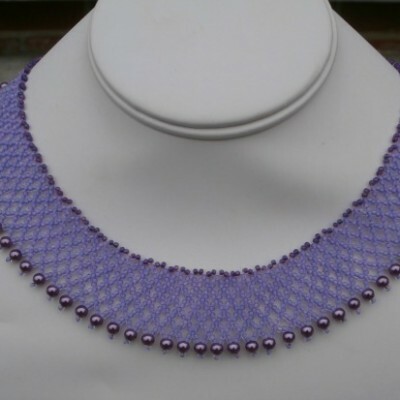 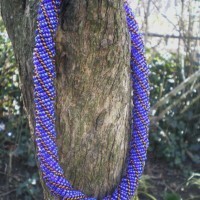 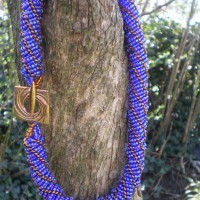 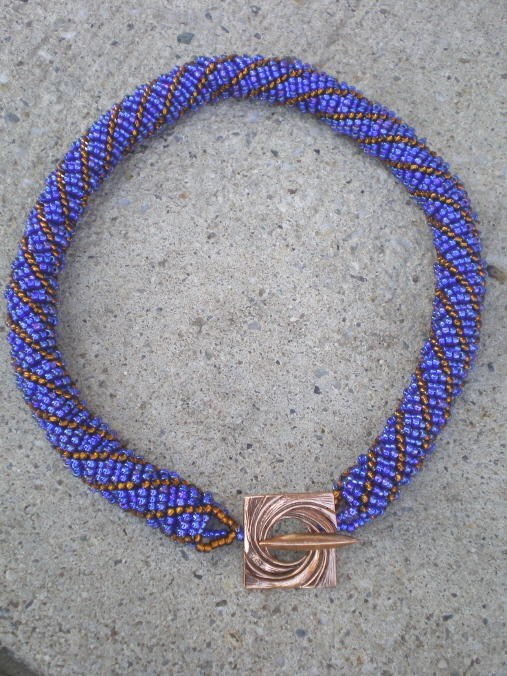 The necklace is striking with the clasp to the side. 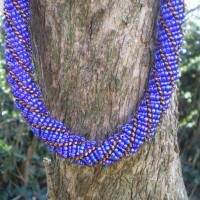 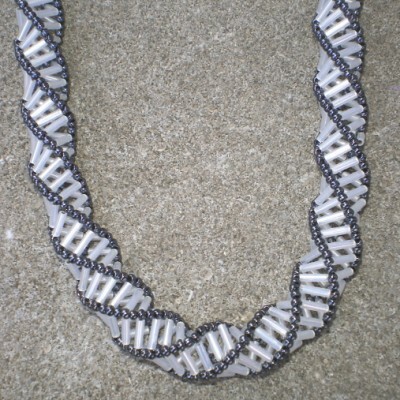 This necklace can be customized. 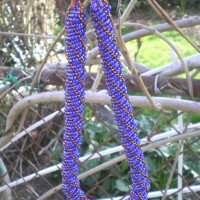 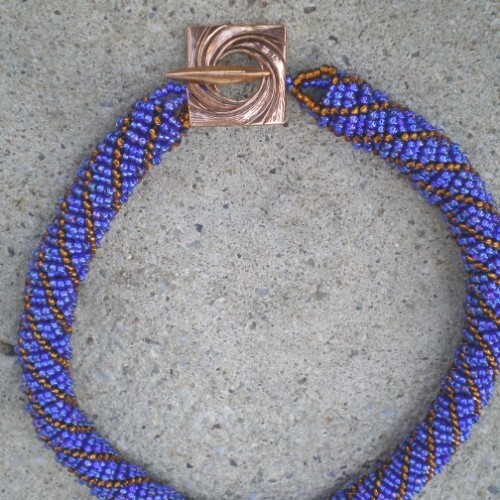 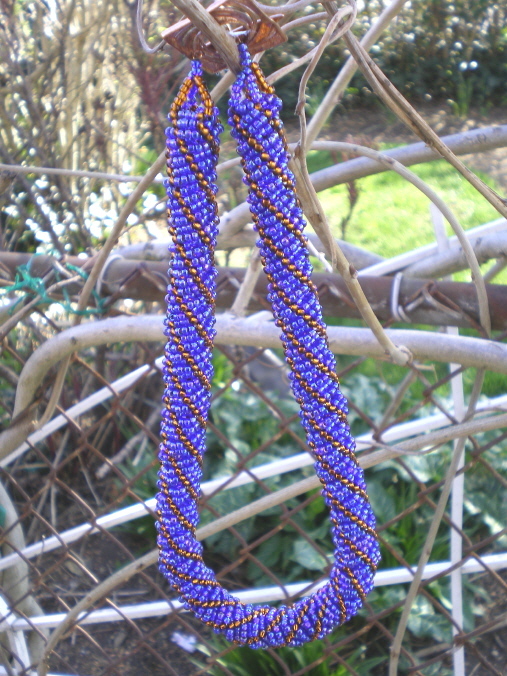 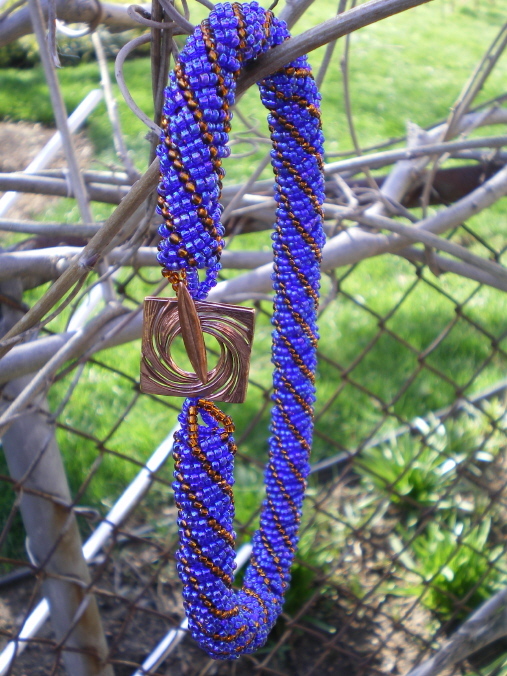 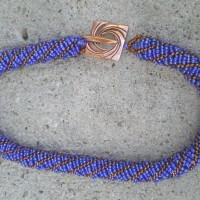 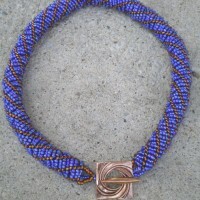 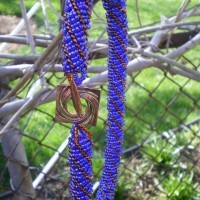 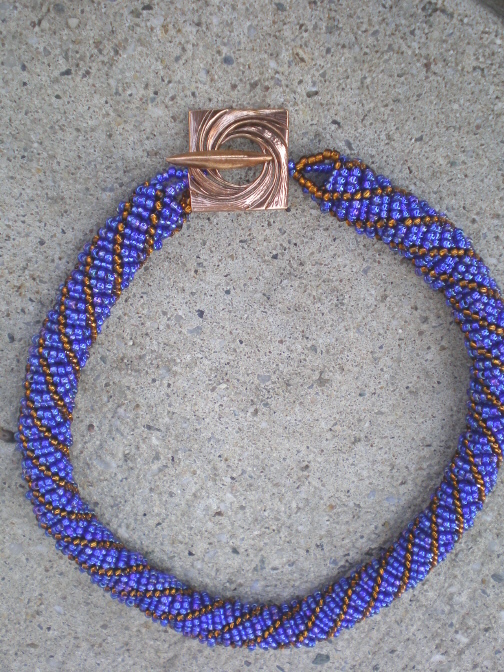 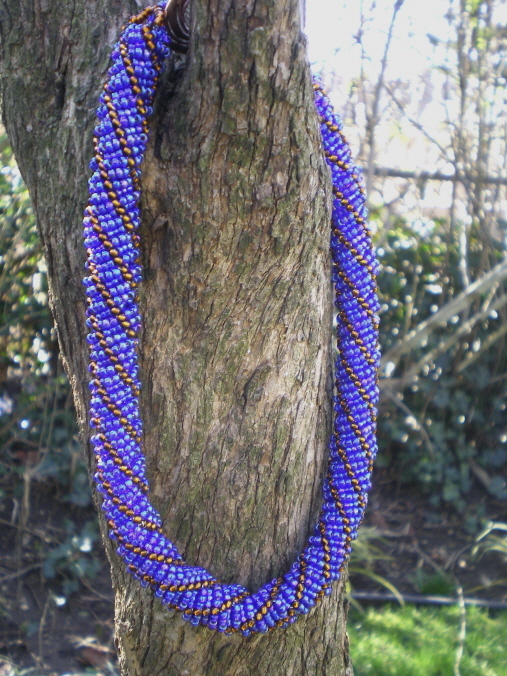 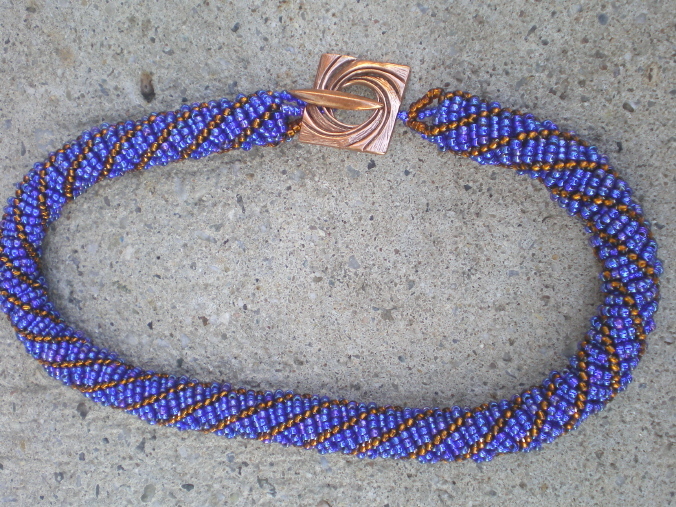 Be the first to review “19″ Beaded spiral necklace, blue and copper color seed beads” Click here to cancel reply.